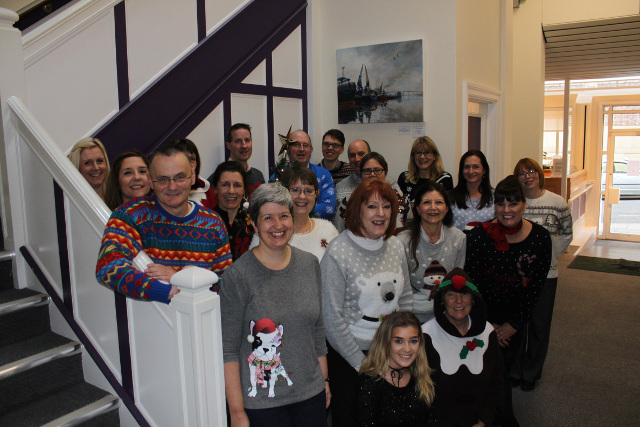 Kerseys are proud to support the Woolly Pully, Christmas Jumper initiative. “As you know, the Piggies have left town and we think life wouldn’t be complete with some kind of farmyard animal so we would love to introduce you and your colleagues to Woolly Pully Week! The concept is very simple, we would like as many people as possible across Suffolk to wear their Christmas jumper, their Woolly Pully, on any day between the 12th and 16th December 2016. We are asking everyone to join the fun and donate £2 to take part. We hope to raise £20,000 to provide 1000 hours of nursing care to our patients and their families over the Christmas holiday. If you and your colleagues can join us for Woolly Pully Week, we may be able to arrange a special visit from Woolly himself. He would be delighted to make an appearance at a meeting or other gathering to meet you all! He is cute and very cuddly, a sure hit with everyone who will be taking part. We will be touring East Suffolk with him from the beginning of November, so don’t miss out on a visit, get in touch soon. Once you have joined in we will send you a fundraising pack to help you all get you into the Woolly Pully spirit. Make your own paper Woolly, make your own bunting, posters for you to fill in about your day and a poster to feature photos of your Christmas jumper wearers’. Please get in touch soon for more information on Woolly Pully week and to sign up or you can sign up online. It’s so very easy to have fun whilst supporting a wonderful charity that serves your community.